Five years after his first appearance at the World Gourmet Summit, Tokyo’s chef Hal Yamashita returns to the city, joining the league of celebrity chefs with outposts at Resorts World Singapore. Syun’s woody interiors seat 50 in the main room and eight in a private one. The counter seats place you before Yamashita’s man in Singapore, Norihito Saji, and local sushi chef Kevin Wee. Yamashita himself is committed to showing up at least four times a year. Ask for the counter seats away from the windows, which put you on eye-level with LED lights that glare at you from the refrigerator. At Syun, the Kobe-born chef showcases his cuisine that uses carefully sourced condiments to elevate premium ingredients. It’s a philosophy that’s earned him praise in Japan, but our meal was off-balance right from the chef’s hello. 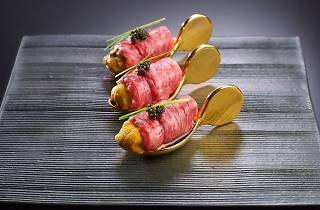 The amuse bouche is a gold spoon topped with two thin slices of dappled Kobe wagyu that are drowned out by pungent uni they wrap around. It almost feels like a waste of good beef. And uni. The trio of sashimi – salmon, tuna and yellowtail – and sushi courses were also eclipsed by their yuzu mayo and spicy garlic sauces, leaving us aching for a whiff of the sea. More needs to be done on the service side to accurately represent the food. 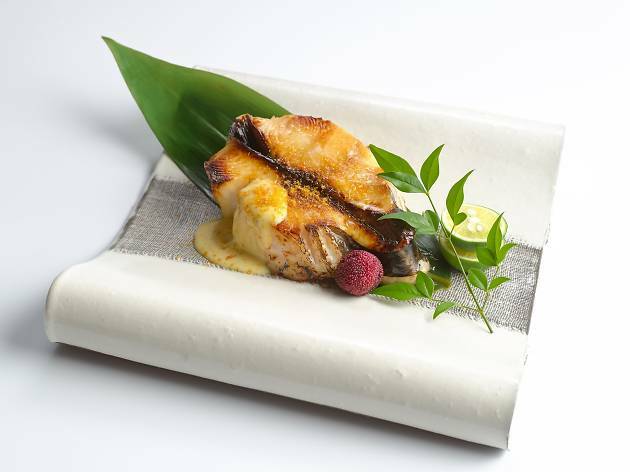 A mains-sized portion of grilled cod with a yuzu-miso emulsion came with discordant shavings of Parmesan versus the menu’s promise of bottarga flakes. 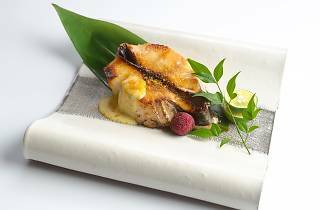 That said, the service is genial, attentive and even profusely apologetic when our fillet of bincho-tan grilled sea bream (part of the seven-course menu, $120) arrives stick-to-the-teeth dry. Japan’s other meaty pride, Kurobuta pork, is served with inelegant spectacle in shabu-shabu ($35/one, $68/two diners), fired over a burner big enough for a family steamboat and a trough of bland broth. Yamashita nods at local cuisine with a chilli padi-spiked ponzu sauce, though it doesn’t do much to enhance the pork. 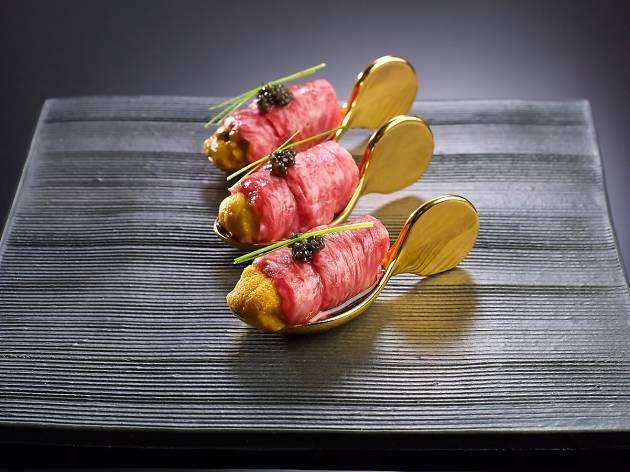 The only dish that made an impression were the four gleaming fingers of medium-rare Kobe beef (part of the five-course menu, $95). But for an ingredient that doesn’t need much to shine, it speaks poorly for the fêted chef’s first venture outside of Japan.